It seemed to come almost out of nowhere. The United States usually protects Israel from critical resolutions at the UN Security Council. However, in a dramatic move, the US abstained and a resolution criticizing recent settlement activity was passed by the 15-member body. But this was not the end. John Kerry, Obama’s former Secretary of State, gave a lengthy address a few days later. Kerry’s speech was not so different from the statements of previous leaders, both Democrats and Republicans. He defended Israel’s existence, and denounced almost all forces actively opposing Israel. Kerry was alluding to the fact that if Palestinians are absorbed into Israel in a “one state solution” but Israel remains a “Jewish State” this will not be democratic. According to Kerry, under such circumstances Palestinians would be second class citizens, i.e. non-Jews in a Jewish state. Immediately, Kerry’s speech was decried by Israelis. Netanyahu fired back, as did the entire pro-Israeli blogosphere. The Republican and Likud Party aligned voices escalated the shrill accusations that Obama was a secret Muslim, a member of the Muslim brotherhood, a terrorist sympathizer, a Neo-Nazi, a Communist, and everything else he has been called for 8 years straight. Meanwhile, Israel did not stop its settlement activity, and was not really affected at all by the resolution. The billions of dollars in US aid to Israel continued. Obama has left the office on January 20th, and is now replaced by Donald Trump, who claims to be more pro-Israel than Obama. The UN Security Council is not taking any specific action to halt the settlement activities condemned in its resolution. Nothing really changed, but a lot of dramatic, heated words were exchanged between the USA and its closest Middle Eastern ally. Why did this happen? Among the people of Egypt and Syria, as well as the entire Arab world, there was deep hatred for the British and Ottoman empires, who functioned as Napoleon’s rivals. Napoleon hoped that he could convince Muslims throughout the region to support him, and on this basis that he could defeat their hated colonial enemies, and conquer the region for France. “A change of religion, inexcusable for the sake of private interests, becomes comprehensible when immense political results are involved…. Do you think the Empire of the East and perhaps the subjugation of the whole of Asia was not worth a turban and some loose trouser? The state of feeling in the army was such that it would have undoubtedly lent itself to a joke.”Barack Obama, like Napoleon Bonaparte, is not a Muslim. As offensive and heretical as some evangelical Christians and Catholics may consider the teachings of the United Church of Christ and Reverend Jeremiah Wright, they are not Islamic in any conceivable way. Barack Obama was married in a church. He has been photographed drinking wine and eating hot dogs. Obama’s middle name is “Hussein.” As a child, while living in Indonesia, he attended an Islamic elementary school. Obama apparently did meet with the Palestinian-American professor Edward Said. With all of this to cite as evidence, the allegation that he was a “secret Muslim” has not vanished. The USA certainly had a lot of credibility to regain as the Bush era came to an end. The unilateral invasion of Iraq had been widely opposed, not just in the Middle East, but even among NATO states. Bush had gone as far as to say “this crusade, this war on terrorism, is going to take a while.” The word “crusade” doesn’t exactly bring up pleasant feelings among Muslims around the world. Meanwhile, the federal agencies of the United States flew into a very Islamophobic mode after the 9/11 attacks. The leaders of a religious charity known as the “Holy Land Foundation” were imprisoned for nothing other than running soup kitchens for Palestinian children. Mosques across the United States were then and continue to be widely surveilled. Voices like Andrew Sullivan’s hoped that Obama’s background could restore the credibility of the USA in the eyes of Muslims. But this was just the tip of the iceberg. What came about in the first term of the Obama administration? In 2011 the world watched the “Arab Spring.” Across the Middle East, impoverished people rose up against their governments. Analysts often argue that the Arab Spring was spawned by the global financial crisis and the regional drought. Throughout the Arab world, crops failed, water was scarce, and impoverished people piled into the cities facing dire economic conditions. The uprisings that eventually erupted were predictable. Such conditions are known to spark unrest. But the world did not see a repeat of the 1979 Iranian Revolution, where the Persians toppled a western puppet dictator under the slogans of “Not Capitalism but Islam” and “War of Poverty Against Wealth.” The western capitalist apparatus was ready. The Arab Spring was immediately redirected to serve their ends. Social media outlets based in western countries, and the global apparatus of pro-American NGOs swung into action. With a commander-in-chief who most people in the Middle East had a favorable opinion of, the forces of global power were able to ensure that the revolt did not become an uprising against western capitalism. No new anti-imperialist regimes were born. Rather, the opposite happened. In Egypt, the pro-US regime of Hosni Mubarak fell, but what replaced it? First, Egypt elected Mohamed Morsi, a leader of the CIA-linked Muslim Brotherhood. Morsi was then toppled by a military coup d’etat. Now General Sisi, a top military leader under Mubarak, is in power. The US backed Saudi regime was allowed to crush the uprisings within its own borders. Ayatollah Nimr Al-Nimr, a Shia cleric who led protests demanding civil liberties and religious freedom in the country was eventually beheaded for his role in the Arab spring. Saudi troops poured into Bahrain to keep the monarchy in power and crush the Shia majority that demanded their rights. In the aftermath of the revolt, Yemen staged a sham election in which Mansour Hadi, a Saudi puppet, was the only candidate on the ballot. Yemen is now torn apart by war, as many Yemenis reject Hadi’s pro-Saudi and Pro-US regime. The energy and momentum of the Arab Spring, amplified and directed by the western TV networks along with Twitter and Facebook, went toward targeting two anti-imperialist, socialist governments. Gaddafi’s Libya had the highest life expectancy in Africa. Syria’s Bashar Assad presides over a centrally planned economy, supports Palestinian resistance, and is aligned with Iran, Russia and China. Imagine what could have happened in the region, if the wave of uprisings had taken place while George Bush “the crusader” was still in office. Obama’s presidency played a decisive role in manipulating and redirecting the events of 2011. It is not uncommon for celebrities to clash with each other in the public arena. Often, these fights are not spontaneous, but intentionally provoked, or even planned, in order to generate publicity for both parties involved. For example, long before running for President, Donald Trump captured the attention of news headlines by having a spat with TV personality Rosie O’Donnell. The perceived tension between Benjamin Netanyahu and Barack Obama has the looks of a “made for TV drama.” It is a prolonged public spat that is mutually beneficial to both parties. Do they actually dislike each other when the cameras are not rolling? Who knows. 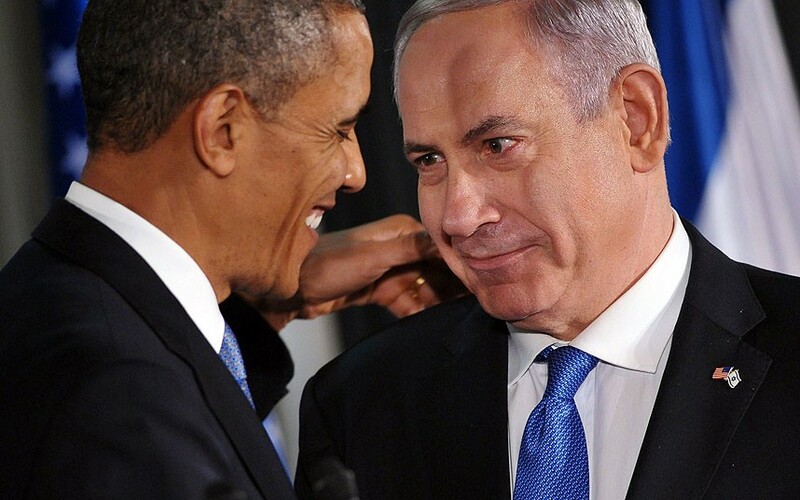 While Obama and Netanyahu have butted heads, the US aid to Israel has not decreased or been cut off. Under Obama, the United States has worked to topple the Baathist Syrian government, one of Israel’s primary regional opponents. Israel has supported the regime change efforts with airstrikes in Syria targeting anti-ISIS fighters in the Hezbollah organization. The 2011 NATO intervention in Libya, championed loudly from the White House, toppled the Islamic Socialist government that had a long record of opposing Israel and arming Palestinian resistance. Obama boasts that he has ended Iran’s peaceful nuclear energy program, and is making Israel safer from a supposed Iranian threat in the process. While there is occasionally criticism of Israel’s settlement activities, they continue unabated. However, Obama’s clash with Netanyahu plays well for him, and the United States, in the Arab world. Throughout the Middle East, Netanyahu and Tel-Aviv are the most hated villains. Obama’s trading of nasty words with Israeli leaders raises the credibility of the United States. It gives the United States a kind of distance from Israel on the international stage, while US support remains key and keeps flowing in without pause. Obama’s Department of Justice has even conducted raids against pro-Palestinian activists. Netanyahu benefits from the spat as well. Fear and hatred of Palestinians, Muslims, and Arabs has been key in securing the recent electoral victories of the Likud Party. If Netanyahu looked like he was friendly toward someone who attended an Islamic elementary school, or had the middle name “Hussein” this would discredit him in the eyes of his base. Despite the fact that Israel receives billions of dollars from the United States, as well as weapons and other assistance, Netanyahu looks as if he is not afraid to bite the hand that feeds him. Fighting with Obama allows Netanyahu to look like a brave, fearless, true believer in the Zionist cause. Trumps statements about banning Muslim immigration haven’t exactly been popular in the Arab world. Statements like “Islam hates us” don’t go over so well either. The fear among certain forces in the United States is that Trump could alienate the many Muslim allies of the United States in the Arab world. Wall Street oil companies make lots of money from the various autocratic regimes in Qatar, Kuwait, Saudi Arab, UAE, and elsewhere. Pentagon weapons manufacturers also make lots of money from selling their hardware to these regimes. Like Napoleon’s strategy in Egypt, efforts to portray Obama as sympathizer with Muslims and Arabs haven’t exactly worked out so well. 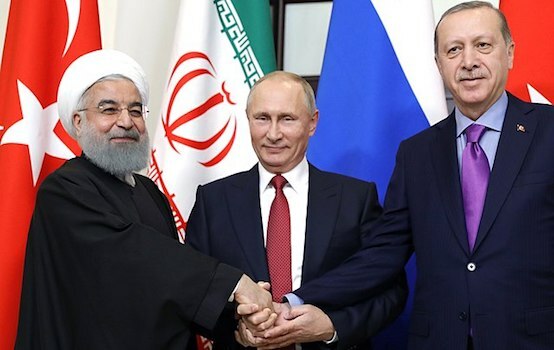 While the elites within the US aligned Gulf States and some of extremists forces who have poured into Syria have bought into the idea Obama is a trustworthy ally, many people in the region have not. The Syrian government has not fallen. Iran has not really been weakened. 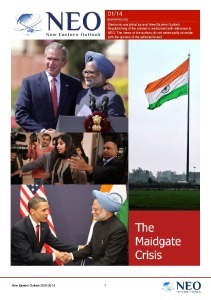 The economic problems and other factors that fueled the discontent of 2011 have not vanished. There is no guarantee that the oil bankers of the United States will keep their grip over this vastly important territory. Certain sectors harbor real fear that Trump’s brash tone could now ruin everything.